My dad is awesome. He had two girls, and was amazing. He sat through many, many dance recitals and concerts when I was a kid (and realized that the music was what they play on the weather channel - and started singing along. 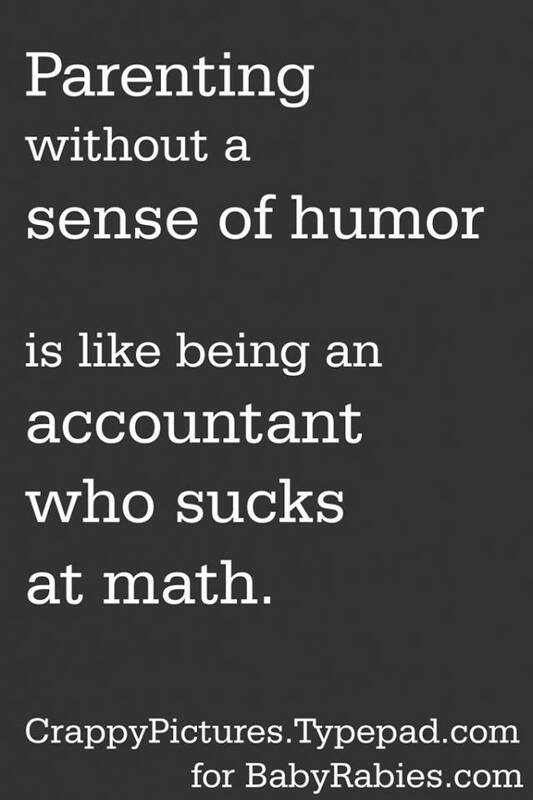 But that's besides the point). When I got involved in theater, not only did he support me in every way imaginable, he picked up a theater hobby himself. He adores my girls and is a wonderful grandfather. Adam is also awesome. I'll admit, he used to hope for a son, but he could not love two little girls more. He knows how to do ponytails, put on tights, and is more familiar with all the princesses and fairies than I know he'd care to admit. He may talk a big game, but he spoils these little girls with love, and they adore him right back. So basically, when it comes to Dads, I hit the jackpot. Happy Father's Day! Now onto the wrap up. I'm really embarrassed, but I only had two posts this week. Pathetic, even for me. I always had an excuse the nights that I didn't write, but I made a resolution that I'm not going to blame things on excuses. I didn't do it, story over. However, one of these posts was a huge hit. Adam taking the girls to the pool resonated with many, many people and almost everyone was laughing with us. Generally, people gave him a lot of credit for even attempting such a feat, the others congratulated me on giving him an insight into my day to day life with two little girls. This post got a great number of readers, as well as a number of shares and comments. I love writing things that people can relate to. 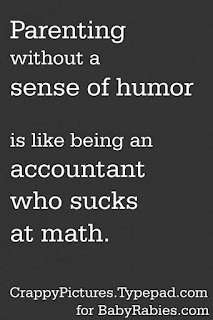 Remember: finding the humor is the key to not banging your head against the car and crying. People also got a kick out of Madison's version of what we all do when she played it out in her dollhouse. Every friend or family member I've seen this week has commented on my taxing days of drinking coffee, talking to Diana, and sitting in Daddy's chair. I know something is a hit when Adam asks me about it (he doesn't read this blog) and tells me to stop sitting in his chair because I'm messing up his buttprint. Note: I don't sit in his chair. That's where we store the remotes. I went out with my college roommate, Sarah. We didn't meet until I usually go to bed, but it was totally worth it to pretend I'm young and trendy again. Sarah is a blogger too. She has a great blog with stories that have me laughing with her every time she writes. She lives in NYC and works a variety of jobs in all things creative, and you need to check out what she's writing. Lately, she's been writing many hilarious DIY posts, but she's also blogged about work as a background actor for TV and movies, online dating, life the in the city, and road trips. She's worth a visit. Check her out and let her know that Meredith said she's worth adding to your reading list. We had an awesome family filled weekend, though the girls reminded us that it's still tough to break routine. Like I said, yesterday we had my parents over for a cookout. The girls love seeing them. They napped pretty well before anyone showed up, so that was good. Still, by the time we were finishing dinner, Reagan was overtired and screaming for another cupcake. Today, we had Adam's parents over, and to mix things up, we went out to dinner. Madison didn't nap today, and Reagan was up at 1:00. Therefore, they were done by the time the adults were finished with their appetizers. I went out for many walks. I also visited the potty three times for false alarm pee visits. Then I was alerted that we needed a poop visit. We set off right away (although I'll admit I didn't quite believe her), but halfway there got the fateful "oh no!" cry. Poor kid had some (ahem) tummy troubles and didn't quite make it - actually not her fault, but still not a good situation. Thank goodness I keep a spare sundress and underpants in my bag. Hooray for routine break! We visited Mystic Aquarium this week, which was a fantastic trip. Both girls absolutely loved it. We were able to rig the car DVD player so that Reagan has a screen, even though she's still rear facing, and her mind was absolutely blown. 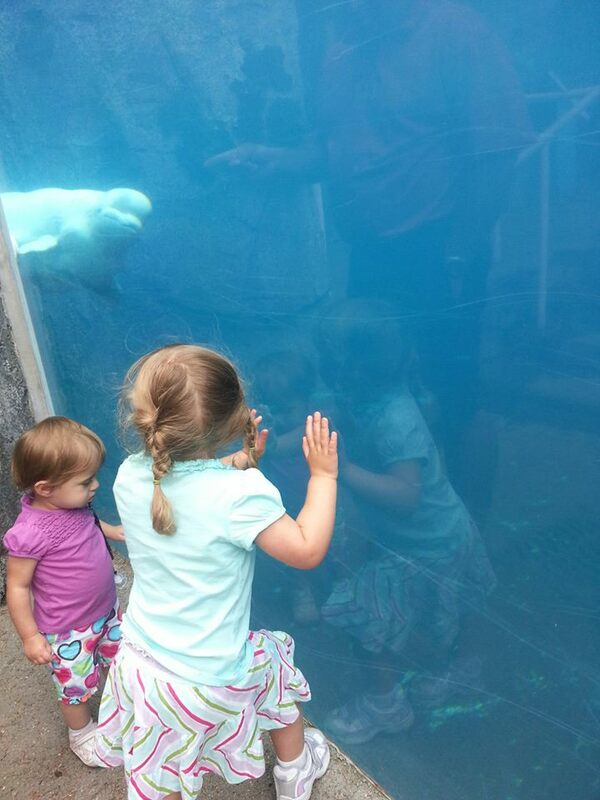 Combine that with an up close and personal visit with both beluga whales and penguins - she was sold on the entire day. Madison, as an Octonauts aficionado, knew each sea creature we encountered and loved the entire visit. This trip really showed us that they're ready for more day trips like this. Unfortunately (and fortunately), the day we went to Mystic was the nicest day of the week. Rain, rain, rain. Lots of indoor play. I'd love to say we did wonderful sensory and creative things, but I'm somewhat ashamed to admit that it was a lot of Tinkerbell. Oh, and I watched two reality shows. One I have loved for the past few years: So You Think I Can Dance. These people blow me away. I also found myself watching The Bachelorette, Dance Moms, and Toddlers and Tiaras. All which kept me riveted during naptime, and which I plan to record and watch weekly. No need for judgement: I judge myself. I already told you about Sarah. Here's an older post of hers that really gives you an idea of her voice. It needs a look, a read and a comment. She is definitely worthy of the love. Spend some time on her site - especially the older stuff. I can't link to everything now, but trust me. Amy over at Funny is Family wrote about kids reaching milestones in a way that really hit me. And Mackenzie from Raising Wild things had a great translator for what kids hear v. what you say. Always good to know. 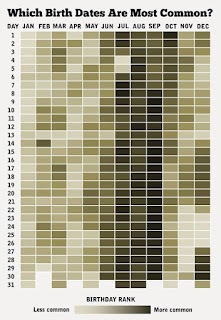 I shared a post from Diapers.com about the most common birthdates. 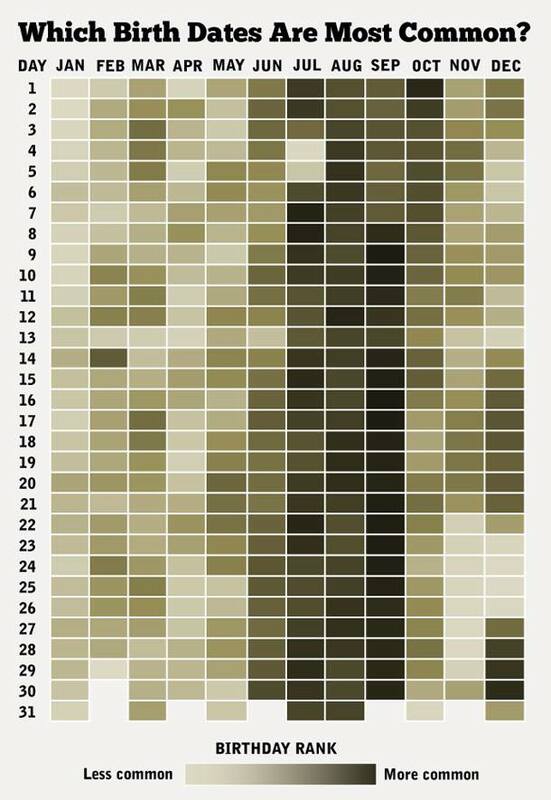 Shockingly, Reagan's is one of the most unpopular days to have a birthday (somehow I knew that), but Madison's is pretty common. I guess once fall hits people seem to think babies are a good idea, and the summer shows quite a boom. To be fair, as a teacher, summer is probably the WORST time to have a baby. I had exactly ONE paid day of maternity leave with Madison. The girls didn't care that I relived my college days and were up at 6:00 am after I went to bed at 1:00 am. That hurt. (FYI: I had one drink. But it was a late night). 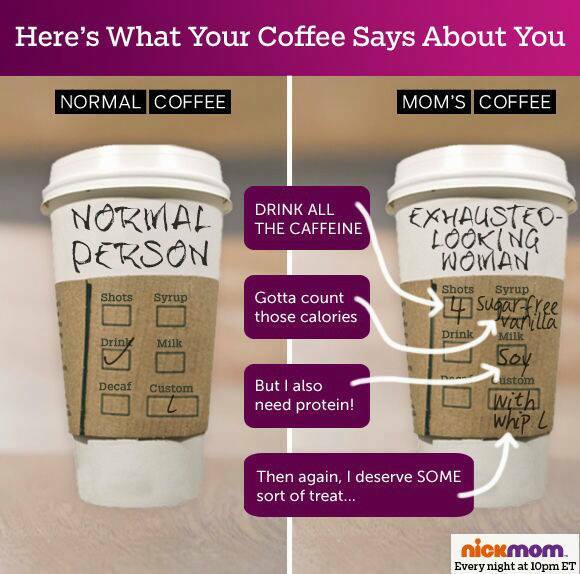 I was reminded of how important it is to laugh at stressful parenting situations. I was far too excited when I switched dishwasher soap. To be fair, my dishes look ah-may-zing. You would never know that our water is super hard. I am a Cascade Platinum pac girl now and will never go back to the liquid. It's exciting. Shut up. I shared this photo from Nick Mom and hung my head a little. By the way, my coffee order at Starbucks is either a "venti no water whole milk chai heated to 130" or a "grande double shot no whip caramel macchiato heated to 130". Yes, I drink regular coffee. Every day. But when someone else has the means to make a coffee drink taste like dessert, I take it. Amy won the gift card giveaway! I'm up to almost 340 Facebook fans now, and that is making me unbelievably happy. If you didn't win, no worries. I have three giveaways coming in the next two weeks (assuming I don't have a week like last week where I couldn't get myself together to write more than twice). 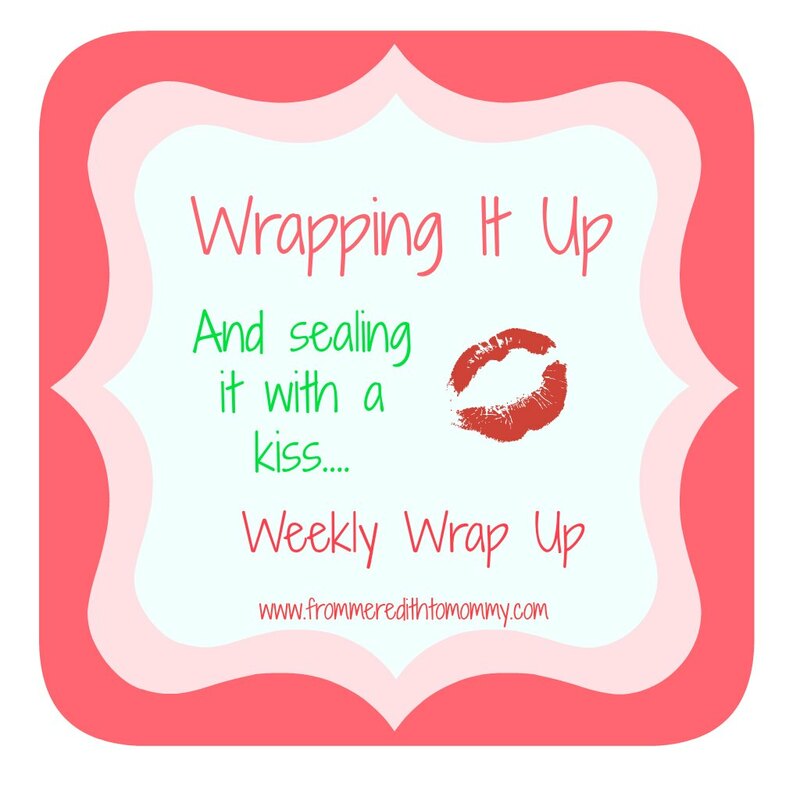 Again, I'm still undecided on what I'd like to call this weekly wrap up. 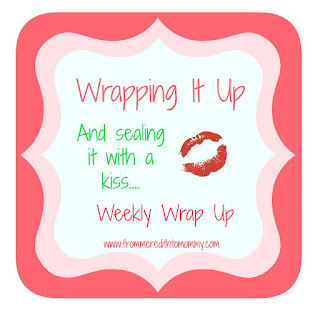 I really don't know that I'm in love with the current "Wrapping it Up" title. Any suggestions would be appreciated! I might like to write, but I'm horrible at thinking of creative titles. I picked up another new affiliate this week - Melissa and Doug! Their toys are wonderful - wooden, educational and incredibly fun. My girls absolutely adore their magnetic dress up dolls, puzzles, and - more than anything - play food. The ice cream, pizza, and cookie sets are among their absolute favorites. Fair warning - if you click that link on the sidebar and buy anything, it gets me a very small kickback. I promise though, I wouldn't put it there if I didn't think it was worth it. Finally, I am one month away from my blog's first birthday. If it were a baby who was eleven months old, I'd be getting all nostalgic and planning a first birthday party. Since it's my "faux" baby, I'm getting all nostalgic and planning my "blogiversary" celebration. Over the next month I'll be sharing my top ten posts from the early days. If you have a favorite, let me know so I can include it! This series will start tomorrow, so be on the lookout! Happy Sunday, Happy Father's Day, and have a great week!